The CorkSport Performance Adjustable Struts and Shocks are designed for the 2014+ Mazda3 enthusiasts that desire quality handling and comfort. The performance struts and shocks feature 15-position adjustable rebound damping to give you the freedom to tailor the ride quality and handling to your characteristics and suspension setup. Adjusting your performance struts and shocks on your Mazda 3 is a simple and painless process; just simply pop open the hood and/or reach under the wheel well. Don’t settle for a bouncy, unrefined, and poor handle ride any further; take your Mazda3 to the next level! #ZoomZoom! Struts and shock play a very important role in your Mazda3's handling characteristics; they effect acceleration, deceleration (braking), cornering, and steering response. From the factory, your vehicles damping rates and springs are paired correctly for the desired handling and ride comfort. This all changes when lowering springs with higher spring rates are installed. 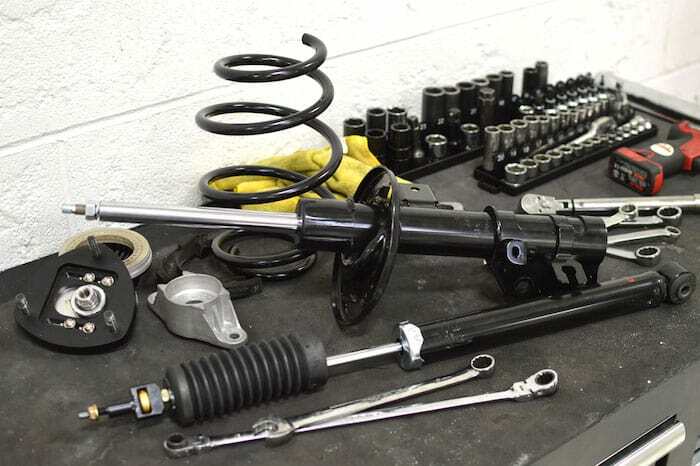 Performance struts and shocks with higher damping rates are a critical component when using stiffer springs to bring that handling balance back. You may be concerned that this will have a negative effect on ride quality when the exact opposite is true. Increasing the damping rate to match the higher spring rate will improve all handling characteristics and reduce/remove the bouncy, uncontrolled feeling that some lowering springs can cause. 15-Position Adjustable Rebound Damping. 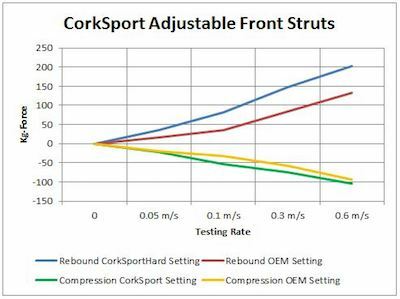 Easily adjust your struts and shocks from OE specs to up to 70% higher rebound damping rate to tailor to your specific driving style and comfort level. 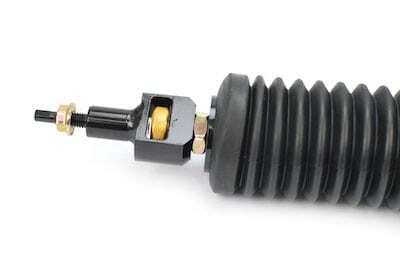 The CorkSport adjustable struts are designed for an easy OE fitment installation and operation. No extra components, hardware, or accessories are needed for installation and existing OE components can be used. Adjusting the struts and shocks are an easy process front and rear. The front struts utilize a click-lock adjustable knob located at the top of the strut that can be easily accessed with the hood up. The rear shocks can be adjusted through access in the wheel well; removing interior panels is not required. For lowered vehicle setups, a hydraulic jack and jackstand may be required. This package works well with CorkSport lowering springs and camber plates to make a whole suspension package for your car. Fitment: The adjusters on the front struts are not accessible with the CorkSport Front Tower Brace installed. CorkSport Service & Support: Receive a 2 year warranty, full color installation instructions, all of the needed installation hardware, and knowledgeable telephone installation support at (360) 260-2675. It will take you three to four hours to install the CorkSport Performance Adjustable Struts and Shocks with our easy-to-use instructions. Worth every penny. I have had mine on for a few thousand miles now and I am loving them. The install was super easy. Took about an hour to get all 4 corners in but I was using a lift and I've had my shocks out twice before so I knew what had to be done. The amount of difference between full soft and full hard is insane! It's crazy how you can go from stock type feel to rock solid and everything between. Only bad thing I can say is that I have to lift the back up to adjust them but that doesn't bother me one bit. Great set, love that it's adjustable. Perfect fit, easy instructions and took about an 1 1/2 hours to install. I have the Corksport lowering springs on my car and am looking to upgrade the shocks and struts in the near future. 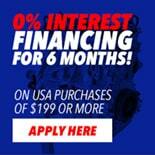 With this package would they be a direct fit without modification or would I have to trim the bump stops like you have to do with the OE shocks and struts when installing the lowering springs? It is a direct fit without any modifications by itself. Lowering springs do make trimming bump stops if the springs you are installing require it. Will this lower the car any? It will not lower the car. 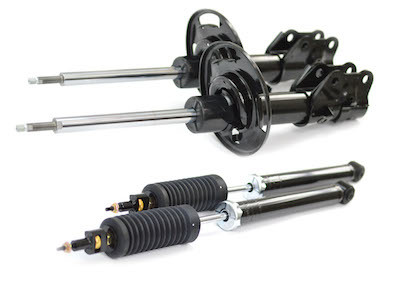 Is this a set of two struts and shocks or just one set? 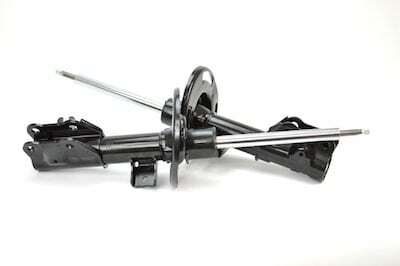 If you order qty =1 you get 1 left front strut, 1 right front strut, 2 rear shocks. can i lower my car with this struts using oem springs or do i still need lowering springs ? The springs are the part that actually lowers the vehicle. You can have stock struts and lowering springs and drop it. Or get different struts and stock springs and keep the same ride height. Can you use the OEM springs with this kit or do I need to purchase the lower springs as well? Thank you!